Waylon received his Bachelor Degree of Arts from the University of Arkansas in Fayetteville, in 2001. He immediately began working in the mental health field. Waylon worked at Piney Ridge Center in Fayetteville, where he held a role first as direct care staff, and then in administration working to ensure medicaid funding for the clients. Waylon left Piney Ridge and went to work for Ozark Guidance where he enjoyed his role as a classroom teacher in their therapeutic preschool for several years. He later worked at both Kid's First (UAMS) and The Sunshine School and Development Center as a teacher and provided direct care for children with developmental disabilities and support for their families. Annie received her degree from Northeastern Oklahoma A & M, where she studied oral communications. Annie worked for Walmart at their home office beginning in 1999, and managed a team efficiently until deciding to stay home full time in 2010. The Martins have been happily married since 2003. In 2007, after a battle with infertility, Annie and Waylon began welcoming children into their home through Arkansas foster care. Their first adoption occurred in March 2009, when they adopted a sibling group of three. Since then they have had more than 65 children share their home for a little bit or a long time. They adopted four more children in the summer of 2012. They continued to remain an active foster home until the completion of their eighth adoption in June 2015. In October 2017, another unexpected blessing came into their home and they are now permanent guardians for a ninth child, whom they adore. 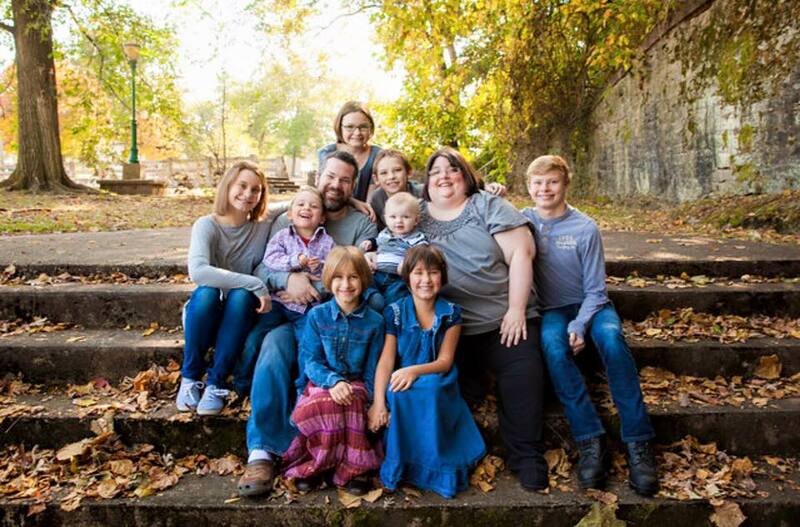 They love God, have a passionate pursuit for adoption and family support, and they are partners with Newsong Church in Centerton, AR. From the Martin's: We are excited to use our years of experience and the knowledge we have gained through our own adoptions, to help support others. Orphan care doesn't end the date an adoption is complete, honestly that is when the hard work of healing begins. The grief and loss our children go through, will take a lifetime of hard work and love, and sometimes even that doesn't heal everything. We are here to serve families during their journey of adoption. We want to provide a safe place for families to find support, fellowship, and guidance that is free from judgment.